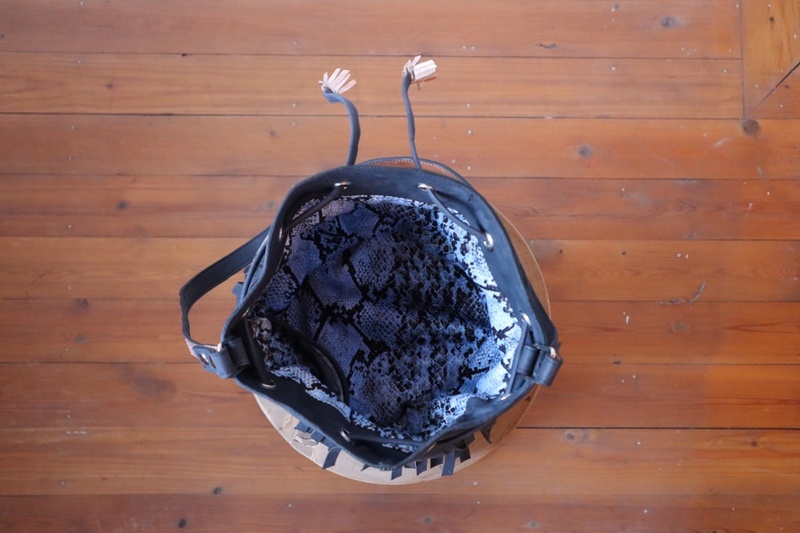 The M version of this LOJO is 23 cm tall and has a diameter of 20 cm, which makes it a perfect handbag. Its handle is intermediate, so you can carry it under your arm or short, shoulder strap. It’s being closed like a purse with a leach which is finished with tassels. The body of the bag under the fringes is made of a “champagne” glossy genuine leather. The upper band and the fringes are also made of a genuine leather, black and mate. 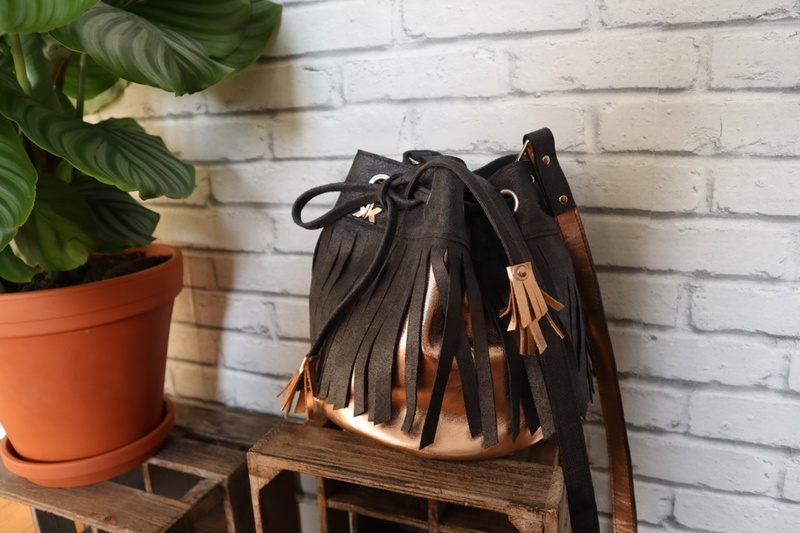 The fringes bring volume to the bag and a chic and original hint combined with the glossy leather. This bas is a very limited edition. As the bag is handcrafted in our workshop, we ask you a delay of maximum a month for the production. Unique leather handbags and very limited editions. 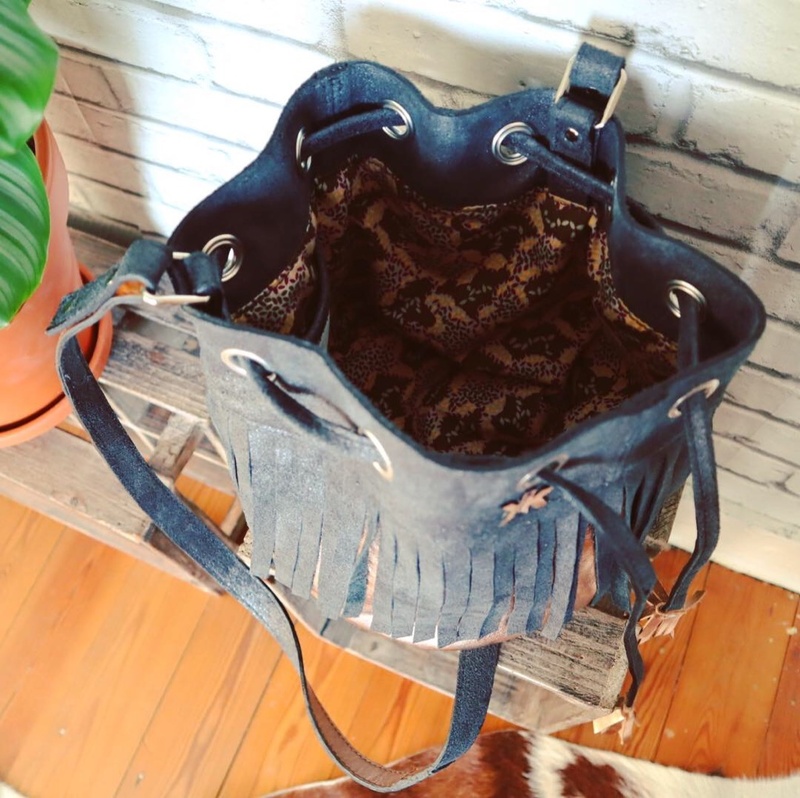 A conscious AND trendy alternative to the fast fashion handbags. 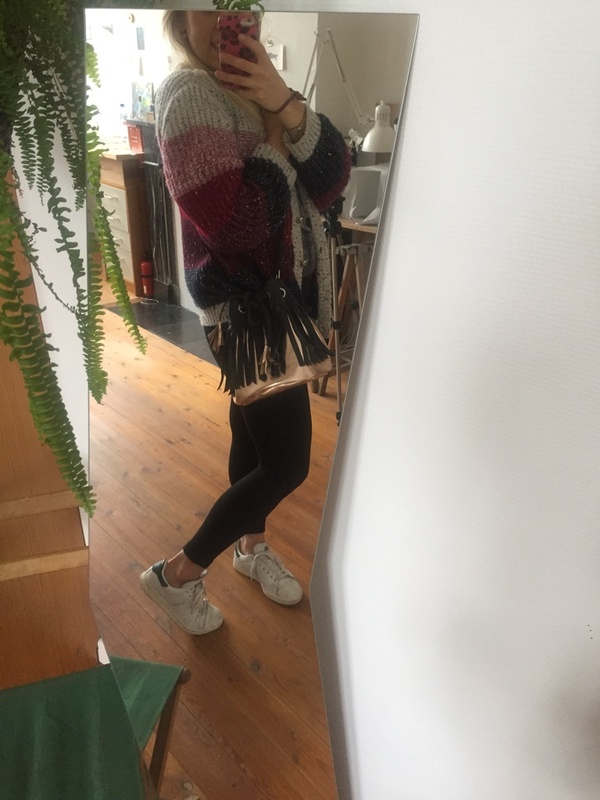 These "jewel" bags are made in very unique conditions : they have a human story, they are made in Liège with beautiful materials of which we know the origin. These are real bags, made to last. 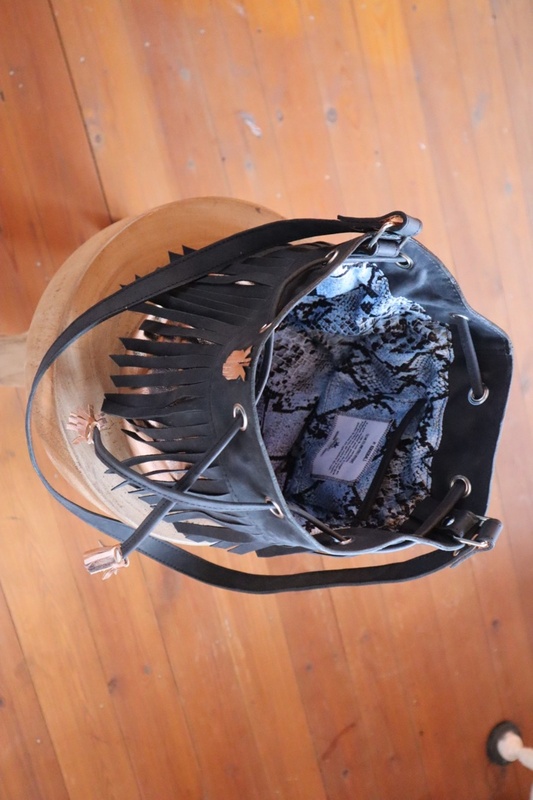 KOKKO Bags is my mission for consciousness, combined with the passion and the happiness of the creation!